Some jobs are inherently dangerous. No matter what amount of safety measures you take, there is still a substantial risk of injury. In recognition of this fact, the federal government decided it was necessary to put certain restrictions in place to promote employee safety within the industrial workplace. Employers are bound by these rules and legally obligated to abide by them. When they fail to meet this obligation, it puts your health and well-being in jeopardy. The Occupational Safety and Health Administration (OSHA) is the government agency that sets these life-saving guidelines. If your employer failed to follow them and you were injured as a result, our team of knowledgeable Phoenix OSHA violation lawyers help you seek the compensation your honest injuries deserve. At Plattner Verderame, P.C., we understand how difficult it can be to bring a claim against your employer. That’s why we give every client the support and guidance they need to navigate the entire legal process. Scaffolding accidents. OSHA regulations require that scaffolding be constructed to support its own weight, along with at least four times the maximum intended load applied or transmitted to it. When these standards are not met, the scaffolding may collapse under the weight of the load, causing injury to any workers using the scaffolding, as well as those working below. A scaffolding accident can lead to such severe injuries as broken bones, brain injuries or amputations. Electrical accidents. OSHA regulations also address electrical risks on a job site, stating that all equipment must be inspected for potential hazards due to such circumstances as incorrect installation, insufficient durability and improper insulation. Electrical accidents can cause severe burns, resulting in numerous painful surgeries and possible lifelong disfigurement. Machine-related injuries. Machine parts are to include guarding, as required by OSHA. These barriers between the operator and the moving parts of the machine are in place to protect the worker from serious injuries, like amputation or electrocution. Respiratory injuries. The chemicals and contaminants in the air or an industrial worksite can lead to respiratory injuries. Per OSHA regulations, site managers should ensure proper ventilation and employ the use of less toxic materials whenever possible. Properly working respiratory equipment should also be provided to at-risk employees, along with safety measures to quickly and adequately address on-site injuries. Breathing in toxic substances can lead cause serious injury to the lungs, as well as other parts of the body. To learn more about the way OSHA conducts safety inspections, please read this. Four out of every five construction sites operate with some level of OSHA violations. This statistic is shocking, and it demonstrates a blatant disregard for worker safety within the construction industry. Our lawyers are appalled by employers who think that saving money is more important than the safety of their employees. We diligently work to hold these companies and employers accountable for their injury-causing business decisions. With a team of skilled Phoenix OSHA violation attorneys, Plattner Verderame, P.C. has the resources to put forth a comprehensive and honest case. We work with experts within the construction industry to conduct a complete investigation of the accident scene. Integrity is an important part of our firm, so we work hard to accurately identify the cause of your injuries related to OSHA violations. 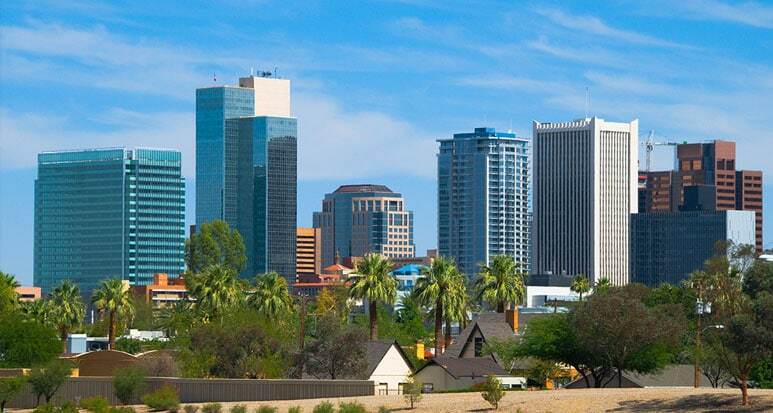 Our team of dedicated lawyers includes Richard Plattner, Frank Verderame and Randy Hinsch, who each have been certified by the Arizona State Bar as Specialists in Personal Injury and Wrongful Death Litigation. When you work with our firm, you can rest assured that the representation you receive will be honest and reliable. In an industrial setting, every worker is at risk when the employer fails to follow proper procedure. Employers have a duty to abide by federal OSHA safety guidelines. When they fail to meet this duty, they place their workers at terrible risk of injury or even death. At Plattner Verderame, P.C., we take on negligent employers and fight for the compensation you deserve. Call us today at 602-783-8793, or complete our online contact form. We handle all cases on a contingency-fee basis.